Meningococcosis is an infectious disease transmitted by a microbe, the meningococcus. Transmitted from person to person, it often gives rise to Meningitis. It rages in the form of fearsome epidemics in tropical zones, especially in Black Africa. From the beginning, the Colonial Health Service bases itself on previous discoveries; colonial Pasteur Institute scientists contribute towards a better knowledge of meningococcus and its modes of transmission. While the proliferation of epidemics becomes rare in Europe and North America, Black Africa as well as South America appear to be the territories most affected by Meningitis. The first epidemiological studies lead to the identification of a Sudan- Sahel zone which is called a "meningitis belt" ("ceinture méningitique") by Lapeyssonie*. Treatment only becomes effective after the advent of sulphonamides and antibiotics. The first mass campaign on the terrain shows the efficacy of a well-tolerated vaccine. Since 1965, the WHO has designated The Microbiology Laboratory of the Research Centre of the Pharo as the main organization for the study of meningococcus. A strategy for influencing rural and urban homesteads is put into place. It has resulted today in the efficient prevention of the disease. The disease is identified in 1805 by the Swiss Vieusseux in Geneva. A lumbar puncture, performed for the first time by Quincke in 1890, permits the withdrawal and study of cerebrospinal liquid (LCR - liquide céphalo-rachidien), purulent and rich in meningococcus. This operation is indispensable for confirming the diagnosis. 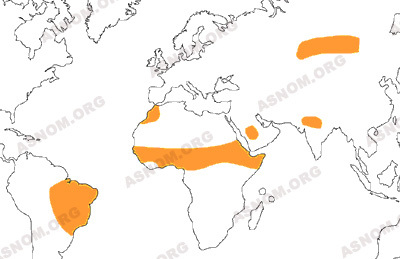 The symptoms of the disease do not show any variation in the tropics. The same age group is afflicted : nearly half the patients are less than 5 years old and more than three quarters under 21. However, overseas, the classic meningeal syndrome with fever, vomiting and stiff neck must be distinguished from an attack of malaria. The haemorrhagic forms, serious in Europe, are exceptional in Africa. Untreated Meningitis with the presence of meningococcus in the cerebrospinal liquid is always fatal. The meningococcus, discovered in 1887 by Weichselbaum, is a microbe that only infects humans, being propagated from person to person through the air. Contamination takes place by inhaling air in the neighbourhood of coughers who are carriers of the microbe in their pharynx. In the newly infected host, the meningococcus dwells as a quiet and inoffensive saprophyte within the pharynx. However, occasionally, in certain subjects and for unknown reasons, it can become virulent and infect the meninges enveloping the brain and the spinal marrow. As early as 1913, Dopter, a French military physician, observes the frequent presence of meningococcus in the rhinopharynx of healthy subjects, said to be healthy carriers. He also discovers the plurality of meningococcus and classifies the variations alphabetically. The "healthy carriers" far outnumber the meningitis patients. Investigations made by colonial physicians show that in Africa these healthy carriers represent 10 to 20% of the population. According to Causse*, there is one person suffering from meningitis among 1 500 to 3 000 healthy carriers. The "awakening" of the microbe is triggered by the dry season, the nose and throat being then irritated by a hot and dry wind, the Harmattan, full of dust and sand. Epidemics which occur every 8 or 10 years are probably due to the concurrence of environmental factors, the diminution of collective immunity and the introduction of new strains of the microbe. Antigenic studies have lead to the description of 12 types of meningococcus of which 5 provoke more than 80% of the infections. An epidemic, recognised as such, is very rapidly propagated. From 1899, Marchoux* reports the presence of "epidemic meningitis" in Senegal. In 1916, Commes* in Sudan and Arlo* in Guinea give accounts of identical situations. At that time, epidemics succeed one another in Europe and in North America, especially in military environments, so much so that Dopter remarks in 1918 : "Breeding places that develop in hot regions of the globe are in fact exceptional. Meningitis is above all a disease of cold and temperate countries". Nevertheless, these great epidemical outbursts disappear in the West while more homicidal waves of the disease assail French West Africa (AOF). Between 1921 and 1924, Braud* reports 4 000 victims in Zinder (Niger), 15 000 deaths in Upper Volta and 46 000 in Sudan. Colonial physicians note two very striking epidemiological characteristics : the geographical distribution of the disease and its seasonal occurrences. The region where the meningococcus breeds, a strip of land in the Sudan-Sahel territory extending from the Red Sea to Senegal, covers a very populated area. In this zone, epidemical centres spring into activity and get normalized, without any obvious relationship between them. Geographical zones of cerebrospinal meningitis due to meningococcus. In the course of the 1937-38 epidemic, Grosfillez* and Lefebvre* report the existence of 600 foci of meningitis in Niger with 5 600 cases and a mortality rate superior to 50%. On the other hand, only 20 or 30 sporadic cases are found in the other colonies of the federation of French West Africa (AOF), 5 cases in Madagascar and 49 in Indochina. At the same time, in French Equatorial Africa (AEF), Chad and Oubangui-Chari are afflicted with a violent epidemic with 5 000 cases of whom nearly two-thirds expire. Until the advent of sulphonamides in 1939, the mortality rate is appalling. 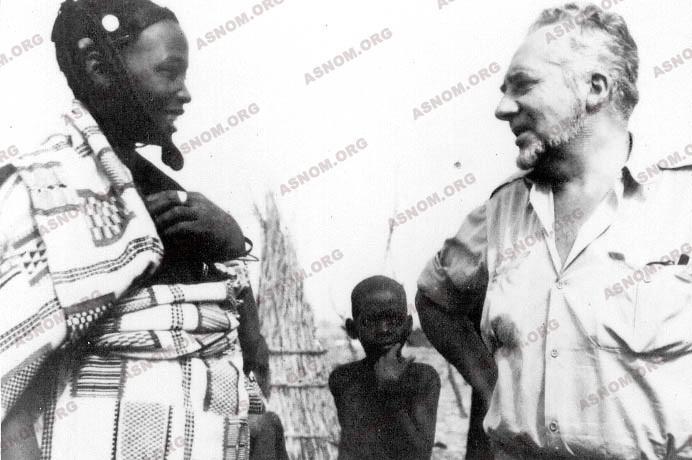 In 1938, the Overseas Pasteur Institutes propose a "anti-meningococcus serum" administered orally (without great efficacy in French Equatorial Africa - AEF) or by intrarachidian interventions (with some positive results in Niger). Gold compounds and other remedies are tried out... They all end in failure ! The first sulphonamide, Septoplix, changes prognosis. After that, other sulphonamides, first those that act rapidly and then slow-acting products, are discovered and used. The latter can be used in a single dose. Provided treatment is given within 48 hours of the onset of the disease, the cure is practically certain, thanks to a single injection of long-acting sulphonamide. Lapeyssonnie*, Chabert* and Pirame* demonstrate this in 1961-62 in Upper Volta. Then come the antibiotics which take over from the sulphonamides that have been discredited and rendered less efficient by the appearance of a sulphonamide-resistant meningococcus. From 1975, the treatment of the masses consists of a single injection of chloramphenicol in an oleaginous solution. It is obvious that populations must be protected from epidemics and, since Jenner, the best way to do it is by vaccination. Very early on, the Pasteur Institutes in Dakar and Brazzaville study the preparations of vaccines. A preparation by Saleun* and Ceccaldi* is used in 1938 in Ouabangui and Chad. The results are inconsistent and ephemeral with violent reactions of intolerance. The hypothesis is put forward that the immunising factor, a component of the microbe's capsule (a polyoside) could be of insufficient quantity in the doses administered, as it had been shown in the case of other microbes. Working on this principle, American researchers develop a modern vaccine of excellent quality. 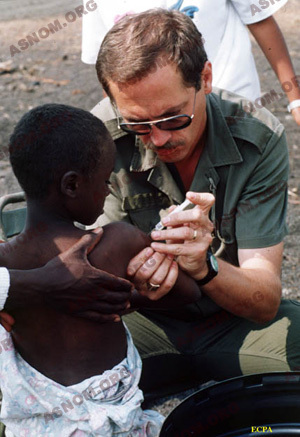 In 1972, using a sufficient quantity of vaccine prepared by the Mérieux Institute, a vaccination campaign during epidemics in Mali and Upper Volta is crowned with success. The most vivid proof of the efficacy of this vaccine is recorded during the 1974 epidemic in Brazil. Thanks to a vast plan of action, eleven million doses are injected in five days in the city of Sao-Paulo. In one month, all the Brazilians are vaccinated and an epidemic that has been raging for two years is halted. The anti-meningococcus vaccine becomes commonplace. It is used in Africa in mass vaccinations to stamp out an alarming outburst of epidemics. That, for the moment, is the strategy of the WHO. The "explosive" character of meningitis epidemics, their occurrences in rural zones badly-equipped medicinally with widely dispersed populations and the mortality rate that results due to the absence of treatment have led the Colonial Health Service to prescribe certain measures whose nature and, especially, whose efficacy varies in the course of time, following therapeutic progress. As soon as they are informed the hygiene services of the town or territory intervene with two sorts of measures - collective and individual. - the isolation of patients in huts for treatment or in "lazarettos" in the towns. - from the 1970s, the vaccination of the population by mobile teams. In general, at the end of two or three weeks, the number of new cases diminish and many years go by before the same village is afflicted with a new epidemic. - Lapeyssonnie L. : La méningite cérébro-spinale en Afrique. Bull. OMS 1963,28 suppl. 114 p.
- Lapeyssonnie L. : Méd. Trop. 1968,28,6,709-720. - Lapeyssonnie L. Vandekerkove M. Causse G. : Rev. Hyg. Med. Soc. 1969,17,7,585-596. - Lapeyssonnie L. : Stratégie d'emploi de vaccin anti-méningococcique. 1° séminaire international sur les vaccinations en Afrique. Fondation Mérieux Edit. 1975. - Bull. Soc. Path. Exo. 2002,65,5,307-330. Numéro entier : Hommage au Médecin Général Lapeyssonnie.